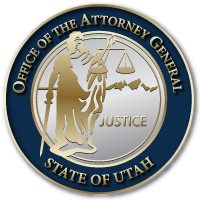 In an article published in the Utah Bar Journal, Utah Attorney General Sean D. Reyes, Salt Lake District Attorney Sim Gill, and Attorney Gregory N. Hoole joined together to bring awareness of child abuse and Wheels of Justice, a local cycling club dedicated to ending all forms of child abuse. Wheels of Justice, a nonprofit corporation, raises money to support four organizations: Prevent Child Abuse Utah (PCAU), Friends of the Salt Lake County Children’s Justice Center (Friends of the CJC), Operation Underground Railroad (O.U.R.) and the Utah Domestic Violence Coalition (UDVC). Additionally, Wheels of Justice sponsors a bicycle ride every September that ascends all five of Salt Lake City’s riding canyons in one day. This daunting course shows children who have been abused that they, too, can overcome any challenge. For more information and to find out how you can join Wheels of Justic, visit their website at www.teamwheelsofjustice.org. This entry was posted in Recent Posts and tagged Attorney General Sean Reyes, Child Abuse, Wheels of Justice on March 18, 2019 .